We are on the hunt for some inspirational ideas to make our Sandringham Reserve playground extraordinary, so we have devised the ULTIMATE weekend and school holiday challenge! Take your kids to at least 3 playgrounds and let us know what they and you love about them by 3rd August. Tell us about your visits in the survey below, or there's a printable version in word or pdf. Here’s a map of some great playgrounds and you may know another one – please tell us about them! All responses go into the draw to win a family meal worth $60 from one of Sandringham’s renowned local restaurants. Also - post a photo on our Facebook page with your kids playing on a playground you visit, and each photo goes in a draw to win a family pass to “Bounce and Beyond” or trampoline park “Jump”. 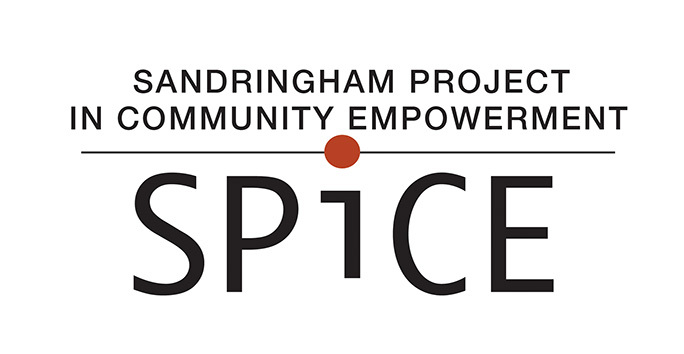 S. P. i. C. E. stands for ‘Sandringham Project in Community Empowerment’. We are developing a vision and plan for Sandringham to enrich our community and enhance the area. We love Sandringham, let's work together to make it better!